Better known as Lito, Rafael Ibarra was born in San Salvador, El Salvador, in 1957. He holds professional degrees in Electrical Engineering and Business Administration, as well as a graduate degree in New Information and Communication Technologies. His work and expertise in the field of Information and Communication Technologies, more particularly the Internet, include private, academic and government companies and institutions, both in his country as well as in the region of Central and Latin America. Since 1993, a time when Central America was starting its journey towards the new connectivity, he has been actively involved in the process of developing, disseminating and appropriation of the new forms of communication with the aim of using them as a means for human development and differentiation. From its creation, he has managed the .SV domain name delegation (received from Jon Postel), as well as an IPv4 address block equivalent to a class B. He participates in organizations and initiatives related to domain names, IP addresses, widespread access to technology, educational computing, Internet exchange points, e-government, e-commerce, Internet governance and other issues relating to the Information Society in general. 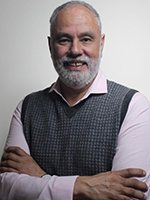 In addition to serving as Founding President and Executive Director for SVNet (Top Level Domain Registry for El Salvador), he participates in various socio-technological ventures and cooperates with private technology and telecommunications companies, government institutions, academic institutions, and NGOs. At international level, he is a founding member of LACTLD and RedCLARA; at national level, he is a member of some NGO´s Board of Directors, such as SVNet, Asociación Infocentros, RAICES, Asociación Conexión, Club TIC, ISOC SV Chapter, Fundación Centromype, and CasaTIC. He also serves as a member of some private enterprises’ Board of Directors, such as TBox, Pagadito, INNBox and MIDO. He has served as the director of the Salvadoran ICT Cluster, president of the Advisory Council on Innovation, Science and Technology and other private and public organizations related to the ICT industry. He regularly contributes to printed and digital publications, and frequently gives lectures and conferences aimed at disseminating and promoting the proper use of new technologies. His blog can be found at http://litoibarra.sv/. Lito has served on the boards of LACTLD, RedCLARA and LACNIC, and he was the first person to be part of these boards concurrently. He also serves on the boards of nonprofit organizations, government entities and private companies in his country. He contributes to LACNIC as a Board Member since 2010. 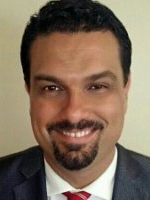 He has been an ICANN fellow on 2008 and 2009, and from October 2015 he serves to ICANN as a Board Member. He has conducted IT research and has led academic projects on related topics in Salvadorian universities. Lito has held job positions in NCR Corporation, Texas Instruments Inc, Universidad Centroamericana José SImeón Cañas and SVNet. He is considered an authority on Knowledge Society issues in El Salvador and other countries in the Latin America and Caribbean region, and thus he is frequently interviewed by the media and invited to be a part of government, international cooperation and multilateral agency initiatives. He is known as the "Father of the Internet" in El Salvador because of his role in its initial management and his subsequent contributions. He has served on judging panels at national and international events and has been honored with several awards for his work. He is married, has three children and two grandchildren, from whom he is able to learn firsthand the sociology and psychology of the new digital society in which we live and whose evolution we must define. Tripti Sinha is Assistant Vice President and Chief Technology Officer at the University of Maryland (UMD) in the Division of Information Technology. She leads Advanced Cyber Infrastructure and Internet Global Services (ACIGS) and the Mid-Atlantic Crossroads (MAX). She has over three decades of progressive experience in Internet and Cyber-Infrastructure technologies. Her wide-ranging experience includes leadership positions in engineering, operations, finance, governance, advocacy and policy. In her current role, she is the chief executive of the MAX, which operates a high-performance regional research and education (R&E) 100G network for advanced cyber-infrastructure services and research. She is also responsible for UMD's High Performance Computing service and strategy. 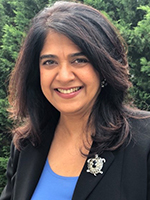 Tripti is active internationally as the executive and operational head of UMD’s global operation of DNS root services, including her Co-Chair role in ICANN’s Root Server System Advisory Committee (RSSAC). In the United States, she is very involved in the Internet2 community on activities related to the US national R&E Internet backbone. She is also Chair of the Board of Directors of The Quilt whose mission is to provide advocacy for research and education networking on the US national agenda. She has served on many other non-profit and private sector technology advisory boards. Tripti has an undergraduate degree in Computer Science from Smith College in Northampton, Massachusetts and did graduate work in Computer Science at the University of Maryland. She was born in India and lives in the United States. As a child and young adult, she moved back-and-forth between the USA and India which gave her an appreciation for global pluralism. She is proficient in English and Hindi, and has an understanding of Punjabi, Urdu and the ancient Sanskrit language. Tripti has a keen interest in Information and Communication Technology innovation, entrepreneurship, governance and policy, and international affairs. Danko is an internet pioneer of Serbia. He was a founding partner in SezamPro, one of the first ISPs in Serbia and an initiator of reform in the then .YU ccTLD. Subsequently he was a member of the Board of Governors of the Serbian Internet Domain Names Registry (RNIDS .RS ccTLD) and the CEO of RNIDS. Currently Danko is a member and the treasurer of CENTR (the Association of European ccTLD registries), and a partner in Jugodata Ltd, Serbia, which provides consultancy for the technical community in Serbia. Danko is a member of the UN IGF Multistakeholder Advisory Group and the EURALO Individuals' Association. Danko has a BA in Management of Information Systems from the University of Belgrade, Serbia, and an Executive MBA from the IEDC, Bled School of Management, Slovenia. Erika Mann, a non-lawyer, is a senior European policy advisor in Covington’s EU Public Policy Practice Group. A former Member of the European Parliament, Ms. Mann has over 25 years of experience in policy related matters. Ms. Mann is part of Covington's global public policy team, which includes experienced lawyers as well as other former senior policymakers. The team advises clients on a range of public affairs issues, including the EU policy-making processes and functioning of the European institutions. Ms Mann joined Covington in 2016. Ms. Mann built and headed as Managing Director the policy office of Facebook in Brussels (October 2011 - 2016). Prior to this, she was the Executive Vice President of the Computer & Communications Industry Association (CCIA), from December 2009 until October 2011. In that role, she built and led the Association’s Brussels office. Ms. Mann was a Board member of the Internet Corporation for Assigned Names and Numbers (ICANN), which she first joined in 2011 and was re-elected in 2014 and, since the end of 2016, she serves as a member of ICANN's GNSO Council (Generic Names Supporting Organization). She was a Member of the European Parliament (MEP) for Germany between 1994 and 2009. As an MEP, she concentrated on trade policy, transatlantic relations, financial services, pharmaceuticals, digital economy, telecommunications and Internet related legislation and research policy. Ms. Mann was the Chairperson of the Joint Board which coordinates World Trade Organization matters between the European Parliament and the Inter-Parliamentary Union (IPU) based in Geneva. She also served as the Chairperson of the European Parliament Delegation with Mexico between 2005 and 2009, and has worked on Free Trade Agreements with various countries. She served on European Parliament delegations to Ukraine, Moldova, Belarus, EFTA-Countries, and South Asia. Ms. Mann was the European Chairperson of the Transatlantic Policy Network between 2003 and 2008. In this position, she conceived the notion of a “transatlantic market” between the EU and the U.S., which lead to the foundation of the Transatlantic Economic Counsel (TEC). She sat as a member of the advisory board of TEC until 2009. She co-created and co-chaired the highly respected European Internet Foundation (EIF) from its creation in 2000 until September 2009. Over her career in public policy, Ms Mann held positions of non-resident Senior Fellow of the Atlantic Council (based in Washington) and a Trustee of Friends of Europe (based in Brussels). She was the Chairperson of the evaluation board for the Risk-Sharing-Finance Facility (RSFF), a financing instrument governed by the European Union and the European Investment Bank. Ms. Mann is a lecturer and author of numerous publications on trade, transatlantic relations and digital economy related topics. She received the Merit Cross of the Federal Republic of Germany in 2001. Joanna Kulesza, PhD is an assistant professor of international law and internet governance at the University of Lodz, Poland. She is also a Scientific Committee member of EU Fundamental Rights Agency. She serves as an expert on human rights online for the Council of Europe and European Commission. Kulesza has been involved with the Sino-European Cybersecurity Dialogue (SECD) and the Global Commission on the Stability of Cyberspace (GCSC) working on international cybersecurity and human rights. She also serves as Membership Committee Chair for the Global Internet Governance Academic Network (GigaNet). Her recent monograph on “Due Diligence in International Law” (BRILL 2016) follows five other volumes and over 50 peer-reviewed papers on international law and Internet governance. 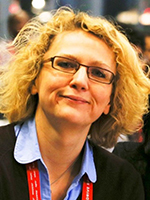 She has been a visiting professor with the Oxford Internet Institute, Oslo University, Justus-Liebig-Universität Gießen, and Westfälische Wilhelms Universität Münster. Kulesza was also a visiting researcher with the University of Cambridge and Ludwig-Maximilians-Universität München as well as a scholar of the Robert Bosch Stiftung, Polish Ministry of Foreign Affairs and the Foundation for Polish Science. She often engages with various NGOs working on cybersecurity and human rights. Javier Rúa-Jovet is a former top-level Puerto Rican government official initially tasked with natural resources/environmental protection and management and later, until 2016, focusing on telecom regulation as Chairman of Puerto Rico's Telecommunications Regulatory Board. He currently heads a consultancy & legal practice, with emphasis on regulatory & government affairs, mostly in the renewable energy and ICT industries: JRJ Consultants & Legal Advisors, LLC. Rúa-Jovet is a member of the At-Large Advisory Council (ALAC) (North America) and is a co-chair of the New gTLD Subsequent Procedures Work Track 5 (Geographic Names at the Top Level). 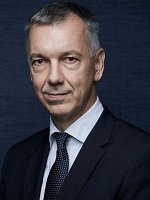 Rúa-Jovet was also Chairman of REGULATEL, the Latin American Forum of Telecommunications Regulators, an organization comprised of all the ICT regulatory entities from Latin America, as well as the telecoms regulators from Portugal, Spain and Italy, and a GAC observer. He has also been involved in CANTO, the Caribbean Association of National Telecommunications Organizations, and is a founding member of the North American School of Internet Governance (NASIG), which was held for the first time in March 2018 in San Juan, Puerto Rico. Dr. Ajay Data is an award winner techno commercial Founder & CEO of multiple technology companies. He always puts people first, believes in long term relationships with team mates. He do not believe in employee employer relationship, rather co-workers with a vision to achieve common goal. As a CEO of the 1000+ team members of the company, he has been driving initiatives to build a skilled and culturally-diverse global workforce. His innovation and execution of software products like BharatSync, XgenPlus, Spamjadoo, DATAMAIL has got users world over and won multiple patents. Making a modest start on April 18th 1999 as Rajasthan's first private Internet Service Provider, the company rapidly expanded its line of businesses in the areas of e-Governance, Software Products, Turnkey IT Solutions and Mobile Technologies. Recently Data Xgen Technologies got global recognition for bringing in first of its kind IDN email supporting email addresses in Hindi, Gujarati, Tamil, Telugu, Marathi, Cyrillic, Thai, Korean, Arabic plus 15 more languages. Dr. Data is Managing Director of Data Group of Industries with an annual business turnover of approx US $200 Million and sought after speaker and leader by young entrepreneurs for mentoring and guidance. Recently Govt. of Rajasthan also started linguistic email services to every citizen on the innovation and technology built under his leadership and guidance. 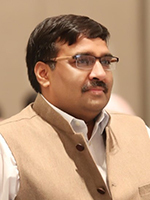 Along with his wide ranging experience in these organizations, he is also leading the ICANN's Neo Brahmi General Panel for generating LGR's , EAI Coordinator in Universal Acceptance Group, Member of ISPCP Constituency and Expert Panel of RZ-LGR Application. 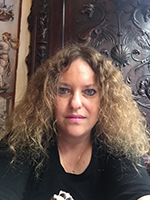 Laura Margolis has more than 20 years of experience in the Internet Industry and Computer Technology. Having held technical and commercial positions since 1995 in companies such as Netgate, PSI Net and AT&T, Laura has vast experience in Software and Website Development, e-commerce, Digital Marketing, Telecommunications, Crypto Currencies and Internet of Things. Currently in charge of Portfolio Management of local and foreign client domain names, working with well-known local and international companies such as Verisign, Safenames, Corporation Service Company, Ascio, Latin TLD, among others. Since 2009 she is the Senior Director of Intersys Uruguay, a company that specializes in providing services related to domain registrations in Uruguay, Latin America, the United States and Europe. Member of the women's DNS Women Community of ICANN, IT Women of LACNIC, and Board member in the Uruguayan Chapter of the Internet Society (ISOC Uruguay). Represented Uruguay in the South School of Internet Governance at OAS Headquarters in Washington, DC. Group member of ICANN LAC Strategy for 2018-2020. Currently participates in ICANN and LACNIC meetings, Internet Governance Forums, as well as other conferences related to the industry of Internet Domains.